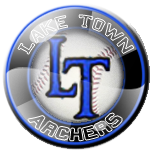 The Hobbit Series got off to a quiet start today, with the host Lake Town Archers taking a low-scoring 1-0 win over the Bree Cheese. Lake Town right-hander Garon Paddywhack was marvelous at Lake Town Park and was named player of the game. The Archers now hold a 1-0 lead in the best-of-3 series. Paddywhack pitched a complete game for Lake Town. The right-hander was charged with no runs on 1 hit. He struck out 10 during his 113-pitch performance. The next game is scheduled for Saturday, October 9th, 2038 at Bree-Land Ballpark. The scheduled starters for the game are Boof Felps for Lake Town and Sjors the Slobberer for Bree.